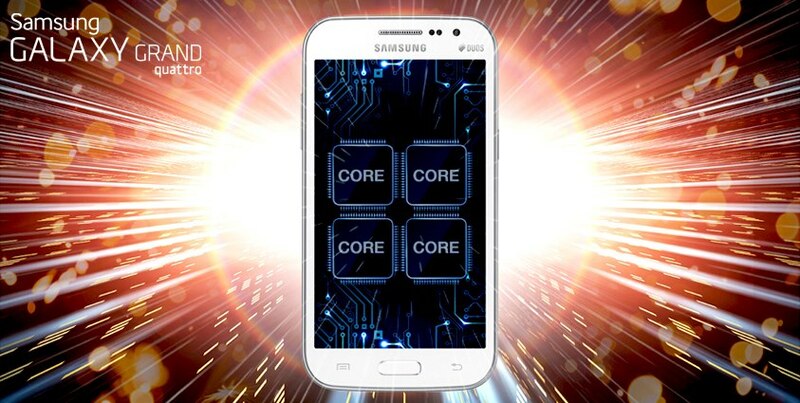 Another sub 20000/- Quad core handset from Samsung launched to eat the market share of Micromax & Karbonn. Samsung has definitely taken the battle with Indigenous brands in India very seriously. It has launched another Smart Phone in its Galaxy franchisee named SAMSUNG GALAXY QUATTRO i8552. This Phablet has a Display size of 4.7 inch (480 x 800 P) with TFT Capacitive Multi-touch screen. It supports dual sim (GSM + GSM). From inside it is bundled with 1.2 GHz quad core processor, Adreno 203 GPU, 1 GB of RAM & comes preinstalled with Android v4.1.2 (it will take care of multi taskers). The biggest complaints of the android smartphones users is of less internal memory but its not the case with this smartphone as it has got an internal memory of 8 GB which can be extended upto 32 GB microSD. For your Photographic needs it comes with a Primary Camera of 5MP (resolution 2592 x 1944 P) with Auto Focus & 1 Flash light, it can record videos of 720 P @ 15 fps and comes with additional features as Face detection, Smile detection, Geo tagging, Touch to focus. It provides an VGA secondary camera of 0.3 MP for video calling (Micromax HD & Karbonn Titanium S2 both has a 8 MP Primary & 2 MP Secondary Camera). On the connectivity front it supports GPRS, EDGE, 3G (7.2 MBPS download & 5.76 MBPS upload), wifi with wifi hotspot, Bluetooth v3.0 & microUSB 2.0. It has A-GPS, Accelerometer, Compass, 3.5 mm Audio Jack & supports DLNA. There are two colour options Black & White. It has an 2000 mAH Li-ion Battery. It weighs 143 gms. Samsung could be a real micromax and karbonn killer if it starts launching its smartphones under its flagship series of Galaxy at a more competitive price, as these indigenous brands are giving the same specs in the sub 15000/- range. Samsung definitely has a upper hand due to its User Interface & its support for OTA ( Over The Air ) updates.